We have featured many different types of 3D printing devices here on Geeky Gadgets over the past few years and even some larger machines that are capable of printing using liquid concrete. However researchers at The Institute for Advanced Architecture of Catalonia in Barcelona have this month unveiled new cement laying Minibuilder construction robots they have created, that are capable of creating unique shapes and constructions using concrete. 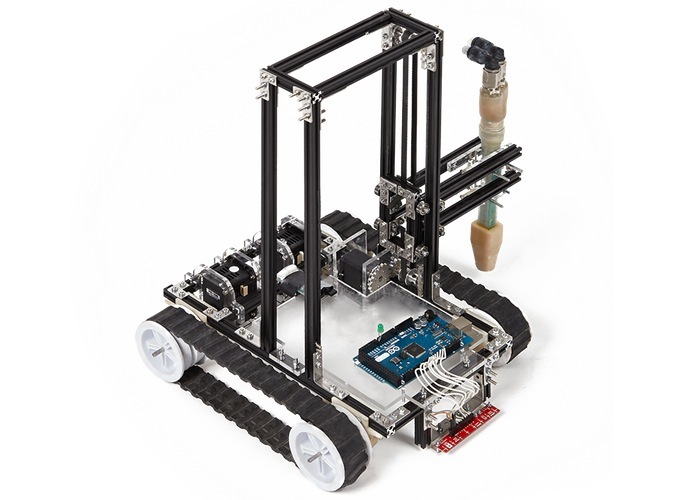 Each of the Minibuilder construction robots has been designed for and assigned a different task and a group of robots is capable of working together to create structures with the foundation robot laying down the structures base while the Grip robot then applies the constructions outer layer. Check out the video below to see the Minibuilder robots in action and to learn more about their design. “There has always been a close relationship between architecture and technology. Yet, in recent times, architecture has stagnated and the construction industry has been slow to adopt technologies that are already well established in other fields. Robotics and Additive Manufacturing offer great potential towards innovation within the construction industry. 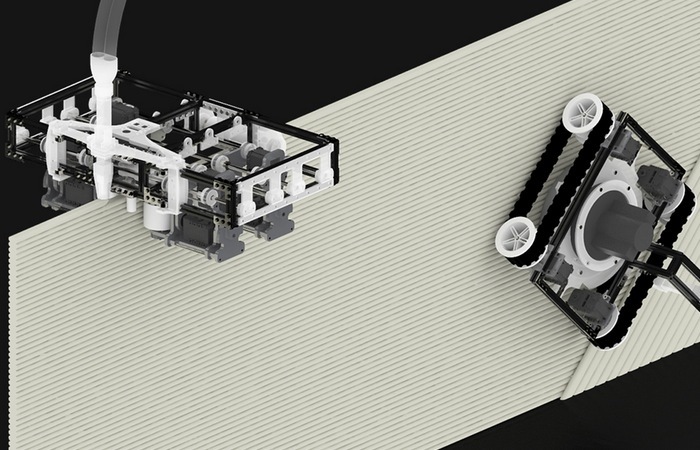 For more information on the new Minibuilder construction robots jump over to the IAAC website for details.